Old redwood pier boards from a local dock were given to Tripp Carpenter, a local furniture builder, who built the chaise and shelving in the room. In this design showcase house we used old industrial parts, inexpensive materials, found articles and local artisans, as a statement in practical green design. 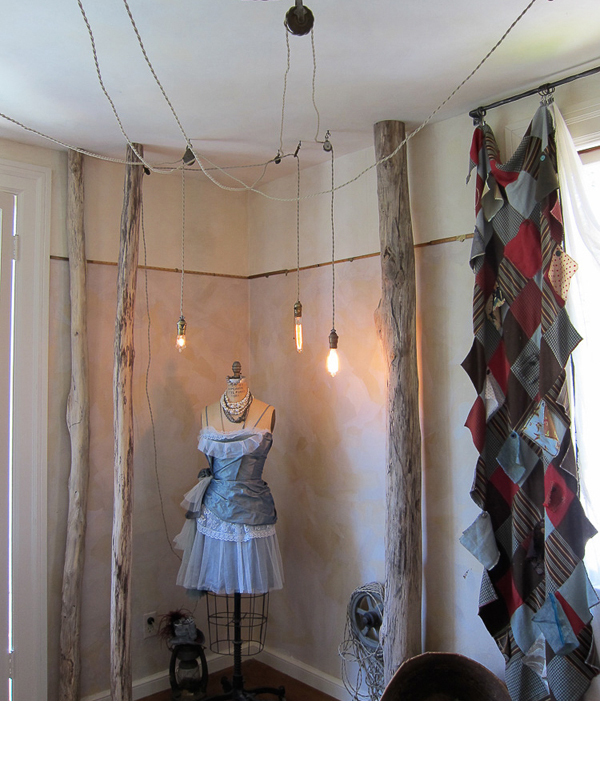 Twisted cloth wire was used through pulleys from the ceiling and down the wall to illuminate old sockets and incandescent bulbs. Ricky Watts, a graffiti artist, painted a tree mural in keeping with the green story of this interior. Snap tape was used on the edges of cotton netting, so that any position of draping can be achieved. Newsprint was sun faded in various batches, and adding old map scraps, was collaged on the walls. Old rulers acted as a trim around the room. An old redwood plank is hung by using the back plate hardware. Vintage buttons attached to the wall, catch the cords leading to the ceiling. Stacking strips of slate to the face of the counter suggests the idea of multi layers of stone. 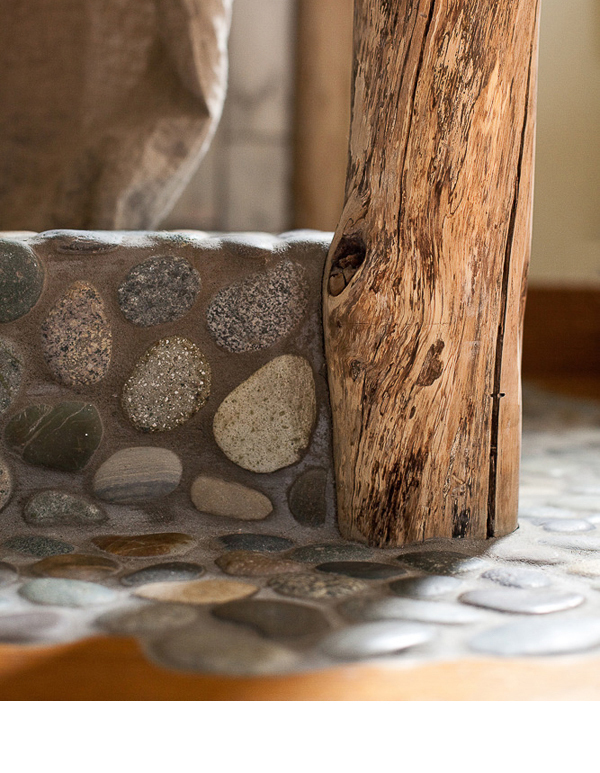 A scribed design cut out of the original floor was installed with river rock. Using the contrast of modern marble and stones creates an eclectic attitude in the bath.